For those of you not living the Shekel-Dollar drama of the past year, I wanted to give a quick update. Twice over the past year, the Israeli export economy (including all high tech), has been jolted by the rapid strengthening of the Israeli currency. Versus the Dollar, the Shekel gained almost 25%, then lost it, and was most recently showing worrying signs of strengthening yet again. This might be great for those Israelis traveling abroad during the August vacation, or Israeli peddlers of Ahava Dead Sea products in suburban American shopping malls, but it’s downright awful for the industrial and high tech sector! In the current economic environment it’s probably the worst possible thing that could happen, especially given our natural dependence on exports. 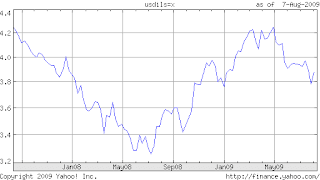 The drama with our central bank started back in March of 2008 when the Shekel reached a low of 3.2 to the Dollar (after sitting around 4.2 for an extended period). 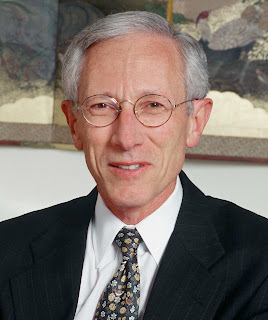 Chairman of the Bank of Israel(our Federal Reserve), Prof. Stanley Fischer, announced he would start purchasing $25m a day to take advantage the strong shekel and increase Israel’s foreign currency reserve which then stood at $29bn. It worked for a while, until the Shekel began to steadily rise again. Most recently, Fischer started spending $100m a day; taking Israel’s reserves to an all-time high of $51 billion (India only has 5x that amount). Today he aggravated many and committed himself to a different form of intervention spending anywhere between zero to several hundred million dollars a day. Most countries have the opposite problem of too weak a currency, which creates a real burden for individuals and the state when purchasing vital imports and natural resources. Our problem is that because Israeli exporters sell their products in Dollars and Euros, the rising cost base of Israeli companies (labor) actually threatening the country’s long-term competitiveness. Our shiny new car is cheaper, but the owner of our R&D center is already drawing up plans to move the facility to China. There are many potential causes for the rise in the Shekel, including the weakening of the dollar versus most other currencies. We can speculate about speculators, about Israel’s pending entry into the OECD and pending upgrade to “developed country” in the MSCI composite. However, the real problem is that our economy and currency markets are simply too small, and easily moved by large transactions such as a block sale of stock. It’s notoriously difficult to assess the true value of a currency, but as a consumer and venture investor, I know the shekel is too strong. Unfortunately, the Big Mac index doesn’t really support my view, but it doesn’t matter (it doesn’t negate it either). Take it from me when I say Israel needs to be at a discount to the US market, and when the cost of high tech labor approaches that of the US, we venture capitalists start pondering our 6-day work weeks and trans-Atlantic jetlag. For start-ups that take their investment in dollars and spend in Shekels, the fluctuations can be hazardess. As a board member, I advise my start-ups to use a conservative exchange rate for budget planning and then to lock-in at least 9 months expenses at a fixed rate. At first analysts and columnists predicted that the Bank of Israel would fail to tame the free market, but they were forgetting that the Bank has infinite resources at its disposal…the ability to print all the shekels the world wants. As long as there are buyers, Stanley is happy to keep the mint working overtime. As a reminder, this is not a repeat of the fabled battle of George Soros against the Bank of England, but the opposite! Like me, Fischer is an import from Washington, and former citizen of an African apartheid state (Northern Rhodesia). He likely doesn't remember, but I met him in his Georgetown home in the early '90s when he was at the IMF, and discussed our mutual interest in Israel and Zionism. The point I am trying to make is that one should never underestimate the resolve of such an accomplished immigrant. Fischer may halt his dollar buying binge for other reasons, but I am rooting for him day and night…and so should you if you want Israeli high tech to succeed. hey, where do you think the extra money is going? Do you think that any inflation can be brought from this strategy? (i think not as the shekels are exchanged for dollars and then into tresureis no doubt which lie dormant. 1 - do you think that the foreign appetite for the shekel are driving property prices? 2 - And, do you think that Israel with all these dollars will start their own Sovereign Wealth Fund.